Why Is Stepping Outside The "Rules" Of Makeup So Unacceptable? Why Is Stepping Outside The “Rules” Of Makeup So Unacceptable? You may say that you’re using makeup in new and different ways, but are you really? Most makeup iconoclasts still won’t deviate from its usual purpose: to enhance the parts of the face that are considered attractive, usually the eyes and/or lips. 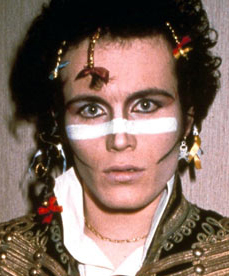 Even Adam Ant used it to define his cheekbones. 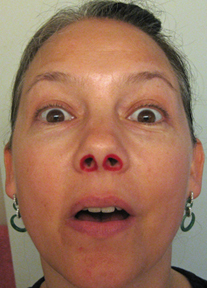 Why isn’t it acceptable to use makeup to enhance a normally ignored area, like the nostrils? Here’s a new take on an old standard. 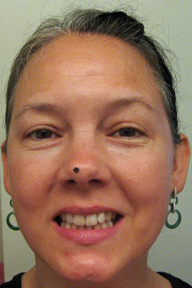 By simply moving the placement of a beauty mark it creates a whole different effect. Or, you know how when you’re trying to merge in traffic and no one will let you in? Well, I’ve found that swerving like you’re a crazy person gets you lots of space real fast. This look is the makeup equivalent of swerving your car like a crazy person. It is interesting to me that when I dare to wear any of these looks on the street, I am treated like a maniac. Unlike many unfortunate souls in San Francisco, I am not the one ranting to myself or peeing my pants. 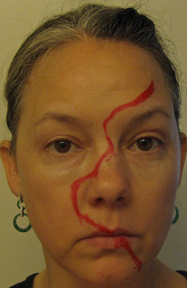 All I did was draw on an unusual part of my face. I can’t really figure it out. Part of me thinks it’s because if people know I’m not looking for their approval, they think I can’t be controlled. But, honestly, that sounds too conspiracy theoryish to me. 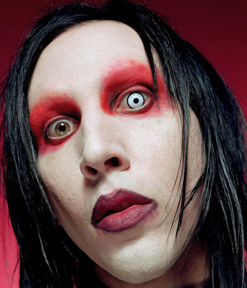 Why do you think stepping outside the rules of makeup is so unacceptable?